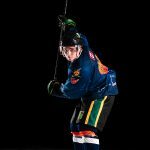 Our Elite Development Camp is the perfect program for committed and hard working players who want to improve their individual skills before the start of next season! 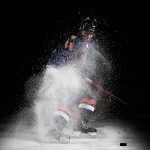 Sessions focus on the individual skills of skating, edge work, puck handling, passing and shooting and progress towards applying those same skills under increasing pressure in game simulation drills throughout the summer. As this is an Elite program it is intended for players aiming to play AA and AAA in the upcoming season and who have excellent focus and work ethic. There are only 24 spots available in each camp so make sure you register today!